dDepartment of Radiology (R.T.F. ), University of Arkansas, Little Rock, Arkansas. The emergence of social media with easy and anywhere smartphone access has facilitated our society's information-craving behaviors to the point that many rely on the Web and social media to make health-related decisions. Recognizing this reality, many health care professionals and organizations have in recent years become increasingly visible on social media. Patients should always be the primary focus of our work. To help shape ongoing reform efforts, the American College of Radiology recently launched the Imaging 3.0 initiative.3 One of its many goals is to improve patient awareness of the integral role of radiologists in their overall health care, and to enhance their understanding of and comfort with the tests and procedures they are undergoing. Social media can be a major facilitator of that culture shift. 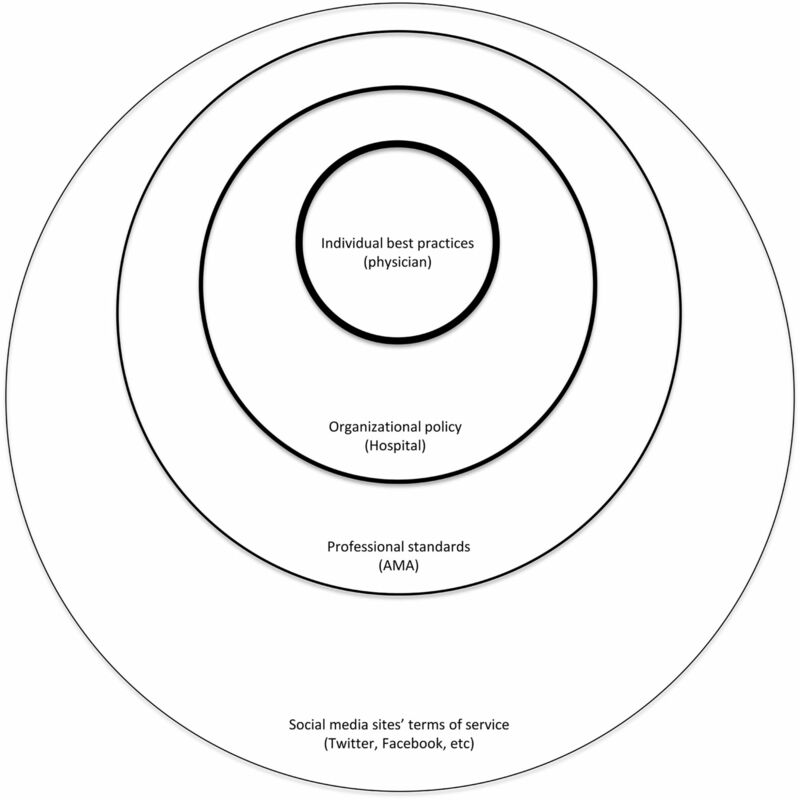 The responsible use of social media provides golden opportunities for marketing physician services, as well as for contributing to public health by providing high quality on-line content that is both accurate and understandable to laypeople. Radiologists, for example, can leverage social media to help correct widespread and frequently publicized fear-generating myths regarding the risks of ionizing radiation from diagnostic imaging. Social media and on-line platforms are here to stay. Some platforms may fade away, but new ones will emerge. Based on current trends, media skills could eventually become a professional technical competency and a component of future medical education curricula. Social media are new to many currently practicing physicians and that may generate anxiety. The avoidance of social media, however, does not protect us as professionals from our public. On the contrary, it constrains our on-line identity and cedes its control to nameless and often uninformed sources. We believe it is far better to be in control—to the degree we can—of what our patients, colleagues, and others find about us using search engines and other on-line tools. At the end of the day, as our on-line and real identities increasingly converge, they together define who we are in the eyes of others. Mayo Clinic Center for Social Media. Health care social media list. http://network.socialmedia.mayoclinic.org/hcsml-grid/. Accessed July 5, 2014.
. The ultimate guide to hosting a tweet chat. Forbes. September 30, 2013. http://www.forbes.com/sites/stevecooper/2013/09/30/the-ultimate-guide-to-hosting-a-tweet-chat/. Accessed July 2, 2014.